Colour Black With White Logo. Grab a Bargain! Anti Bacterial Fabric. Colour Wine. Grab a Bargain! Anti Bacterial Fabric. Colour Blue Camo. Ergonomic Fit. Colour Black. The second image shows red and white check on the rear of the neck, it is not visible in the main image. Be Warm, Shred Longer. Adult's Airhole Star Wars Ski Snowboard Facemask - Darth Vader. Direct Injected Silicone Airhole. Featuring an ergonomic shape, anti-hair pulling velcro and 2 layers of fabric to protect your face, it can handle the harshest conditions. 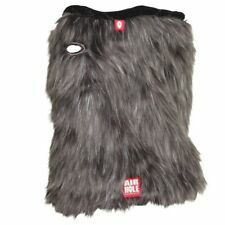 Adult's Airhole Star Wars Ski Snowboard Facemask - Chewbacca. Direct Injected Silicone Airhole. Featuring an ergonomic shape, anti-hair pulling velcro and 2 layers of fabric to protect your face, it can handle the harshest conditions. Colour Milk. It has a small hole. Condition. Ergonomic Fit. Worn once due to being too big. Excellent condition. Colour Orange/White. Grab a Bargain! Be Warm Shred Longer! Colour Arbutus. Grab a Bargain! Anti Bacterial Fabric. Colour Jason. Grab a Bargain! Be Warm Shred Longer! Colour Fern Green. Grab a Bargain! Stay Warm Ride Longer! The Airtube is Airhole's multi-functional neck tube which includes their signature Airhole breath hole. Welded Airhole Mouthpiece. Drylite Polyester & Lycra Fabric. New arrivals. You won't find cheaper prices anywhere! Colour Black. Grab a Bargain! Anti Bacterial Fabric. Colour GLA. Grab a Bargain! Colour Marine. Grab a Bargain! Be Warm Shred Longer! Anti Bacterial Fabric. 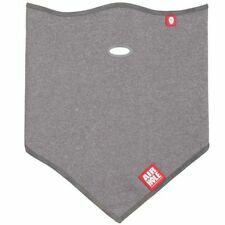 Airhole Polar Airtube Snowboard Bandana Facemask - Wine. The Airtube Ergo is the go to favourite of all Airhole's riders. It's simple to wear - just pull over your head and you're good to go. Direct injected silicone Airhole. Why Airhole?. 50 percent of your heat is lost through your face which allows your hands and feet to get cold. Breathing freely and safely while wearing masks snowboarding has always been an issue. Other face masks have no holes for breathing large holes or multiple small holes. Colour Black. Grab a Bargain! Anti Bacterial Fabric. Be Warm Shred Longer! S2 Mickey Mouse Airhole. The Standard 2 Layer is the original action sports facemask and the most popular in Airholes range. Direct Injected Silicone Airhole. 2 Layer Fabric Maximises Warmth. Material: 100% Polyester. 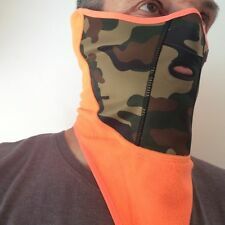 The Airtube Microfleece masks feature their unique embroidered Airhole which is soft and comfortable against your face. The Airhole allows breath to escape freely, avoiding the build-up of condensation to keep you warm, dry and your goggles fog free. Colour Milk. Condition. Ergonomic Fit. Colour Heather Grey Black. Grab a Bargain! Be Warm Shred Longer! Colour Beach. Grab a Bargain! Anti Bacterial Fabric. Be Warm Shred Longer!